Shazam and Freddy witnessing a robbery. Shazam is a ridiculously fun and at-times silly film that’ll undeniably appeal to younger moviegoers, while at the same time feeling like a breath of fresh air to adults who’ve grown weary of Warner Bros. and DC’s fondness for grimdark cape stories. But when io9 spoke to director David F. Sandberg and actor Asher Angel (who portrays young Billy Batson), both were adamant about Shazam being more than a “kids’ movie” in the pejorative sense of the phrase. When you’re a kid, you have to learn that there are times when adults will let you down and fail you. It’s an important part of growing up everybody has to learn, but it’s something that really gives Billy and Sivana their origins as a hero and villain. When you take away their powers, what Billy and Sivana both want it to belong and be part of a family and we wanted to get into how that desire can bring out the best or the worst in a person. The difference is that Billy learns to forgive people for their faults and Sivana doesn’t. That’s what holds Sivana back and what makes Billy a hero, but we also wanted people to understand the motivations behind their actions and empathize with what they’re feeling because they’ve both been hurt by people. In DC’s comics, Doctor Sivana is a social outcast turned mad scientist who builds a spaceship to leave Earth for Venus at the turn of the 20th century, hoping to build a new home far away from the society that shunned his brilliance. When Sivana returns to Earth with villainous plans for revenge, he crosses paths with Shazam, and the two become lifelong mortal enemies. Sivana’s origins are significantly different in Shazam, but in place of the villain’s comics backgrounds, the movie introduces a story about Sivana that Asher Angel described as being reflective of the differences between Shazam and his foe. 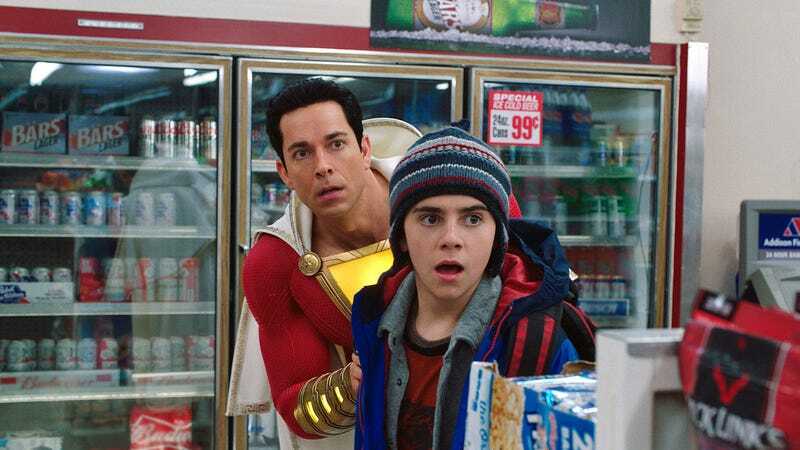 When Shazam hits theaters on April 5, you can rest assured that there’s going to be plenty of jokes meant to appeal to the kid in you, but it’s also going to tell a story with some substance and genuine heart.